So I’m trying to catch up with my book reviews here: apologies for the delayed posts etc but I shall try to keep you updated on my opinions etc BY THE END OF THIS YEAR WHICH IS SOON. I must say I prefer The Mortal Instruments series to the Infernal Devices which is the prequel to The Mortal Instruments series. I just found that while reading Clockwork Angel is lacked the adventure and suspense that The Mortal Instruments is full of. Also the language wasn’t entirely accurate and only the Victorian setting gave it the feel of the time. However I’m quite annoyed with the reference to the English weather because it is not DULL AND RAINY ALL THE TIME. We do have our nice days. Occasionally. 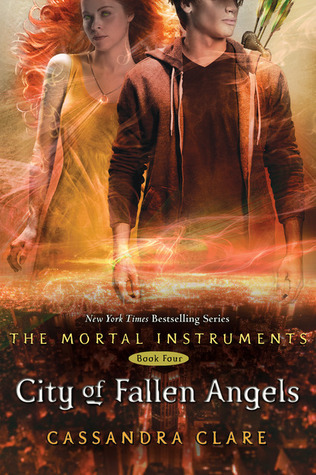 City of Fallen Angels- I love going back to a series. I’ve really missed the characters and I don’t know why it took me so long to finally read this but I enjoyed it and it was one of those books where you scream frustratingly at the characters and you just feel so many emotions. Also, this series is definitely funnier than the infernal devices. Though I’m a teenager and so I get emotional a lot…and my mood swings I AM SICK OF THEM. And although will and Jace are related I prefer Jem to will in the infernal devices. Why? Well it’s so typical that will is the angelic yet tortured soul who Tessa wants to save. But Will pretends he doesn’t love Tessa and poor naïve Tessa believes him. Deep down, Will loves Tessa so much and it kills him to see Jem look at her with affection considering how close Jem and will are. Jem is good for Tessa and he honestly cares for her though he is probably going to die in clockwork prince. Sigh. Anyways so Jace is way better than will and Jace is annoying for staying up there when he should have disappeared and I just cannot believe how Cassandra Clare left us hanging like that. I hate waiting for books. I mean MAY 2012…REALLY?! Sigh. Well that’s the time when a lot of books come out like Underworld by meg Cabot (sequel to Abandon) and some others. Woohoo. Also I kind of like Simon after reading CoFA because even though he was annoying for being a ‘player’ towards the end I’m like awww simon….and i hope he is happy. I honestly think Logan Lerman would make a fantastic Simon. Not because i’m in love with him )Logan Lerman) but because he’d be a great Simon- I mean he plays guitar I think plus he is cute and has that ‘geeky’ thing going for him. Oh and Logan as a vampire would be just lkjefklcerhl!!!! Hehe. I have finally read An Abundance of Katherines by john green. So now I’ve read all three of his books. I don’t know if I’m gonna read Will Grayson, Will Grayson. Maybe one day but I’m, not like OMG I NEED THIS BOOK RIGHT NOW. But Yeah-we’ll see. Anyhew so I think this is my 2nd fave john green book. I read Paper Towns first and LOVED IT. Looking for Alaska I expected so much from this book and it just…the first half was good but the 2nd half was just meh. But this book was SO FUNNY…I found myself laughing like A LOT…IN PUBLIC..ON THE BUS…not good but yeah…and lots of random information which I love. I also enjoyed the whole ‘Hassan’ I am not a terrorist thing because it’s relevant to today and how I feel sometimes. Like my friend lives in North Carolina which is SOUTHERN with loads of rednecks and one day I hope to visit her there but like I don’t know, I mean hellooo I wear a hijab and so people will be like GO BACK TO YOUR OWN COUNTRY or not…don’t know. But in the book, they went to Tennessee which is SOUTH and when Hassan was like ‘I’m not a terrorist’ they were like ‘good to know; haha. I also enjoyed the use or Arabic and other languages and although it had lots of maths such as graphs because of Colin’s relationship theorem I found it fascinating though quite reductionist. I say reductionist because in psychology when studying relationships you can’t reduce it to a graph or a thing in stages because relationships are dynamic. By relationships I mean romantic relationships. Anyhew so I really did enjoy this book and I’m looking forward to reading The Fault in our Stars- you should pre-order it ASAP coz he’s gonna SIGN ALL THE COPIES. WOOHOO. How awesome is that?! FLIPPING EPIC!!! Last but not least- I MET CASSANDRA CLARE AT FOYLES. Yeah…she did a Q&A which was funny and I asked who she’d like to play Simon in the movies but she didn’t say a name. but since they’ve only cast Clary (Lily Collins- yes she is the daughter of Phil COLLINS) and Jace (Jamie Campbell Bower who is married to Bonnie Wright who played Ginny in the Harry Potter movies). However I did enjoy the day though I swear the queue to sign WAS WAAY TOO LONG. But I suppose it was worth it. She was lovely and friendly and very funny and she told us how she and holly black read Harry Potter really quickly before everyone else so they went for a walk to talk about it but some random person on the street was like AH NO spoilers even thought it was early morning because they went to the midnight release. Though thank god there’s no love triangle. As yet I hope there isn’t anyways because i really do love Four/Tobias whereas in The Hunger Games it’s between Gale vs Peeta though we all know there’s NO COMPETITION…even KATNISS SAYS SO…even though she says it’s ALL FOR THE GAMES she doesn’t understand HER EMOTIONS. sigh. Divergent is a few people and this is a mix of factions. I did the aptitude test and apparently I’m either candour or amity. Which is quite conflicting considering yes i can be quite opinionated but I’m a king gentle and loving person. Haha. So true. Though I thought I’d be erudite because I hate ignorance though I don’t really LOVE TO STUDY I do love to LEARN and AQUIRE KNOWLEDGE. 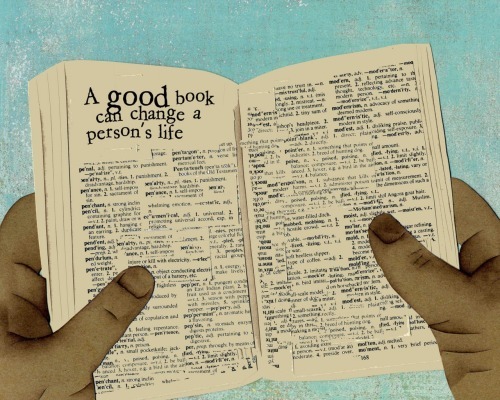 By reading books or watching documentaries. So yes It has also been optioned for a movie by Summit Entertainment I think (urgh they did Twilight). But yeah it’s a trilogy and Insurgent comes out in May 2012. Woohoo. But on reading the book it makes you think about stuff like people and how can we defined by one thing and also is being good the only thing to be in a world full of cruelty or is courage also important?! Because being dauntless requires courage- it’s not meant to be a cruel faction but Tris is courageous and you are MEANT to have fears but to be able to overcome them. I was reading the FAQ on Veronica Roth’s website and she was saying how she didn’t want to preach but from every book you read you take away something. It might not be the same message for everyone but it always makes you think. Thanks to Spinebreakers I got to meet Kevin Brooks and Meg Rosoff. I read his latest book Naked- I know the title sounds errr weird..but it’s actually the name of a band and it’s about punk rock in the 1970s and music as well as love. It’s so good. I swear I thought I’d never go for a book like that but I gave it a chance and I thoroughly enjoyed it. I mean there was stuff about the IRA and it was so emotional. There was this one scene where the IRA come and take his dad away and attack his mum and he tries to help but they push him away and I started crying because it just reminded me of what happens today in places like Somalia and Gaza and what happened in Iraq etc. I love meeting authors- they are famous people to me. I would so go to key west and stalk Meg Cabot…well maybe accidentally on purpose bump into her in the Walmart or something. Haha. Such a freak. So after finishing The Iron Queen I had to read The Iron Knight but of course amazon.co.uk had to remove it and now it’s only coming out in the UK IN FRICKIN JANUARY which is now only 2 months away. Eeek (scary) eeep (yay). So I read an excerpt and reviews and everyone loved it but OMG I CAN’T BELIEVE SHE DID THAT. It’s from Ash’s point of view which is good but like…a character comes in and I’m like…AAAH I NEED TO TREAD THIS. My friend went to New York in October and I asked her if she could get it for me but she said the Barnes & Noble were sold out. Pf course it was. IT’S SUCH AN AMAZING SERIES!!! So why am I excited and scared about January. Firstly IT MEANS WE’R EIN 2012 now it’s not the end of the world. January is the month of my birth- wohoo BUT I HAVE EXAMS- BOOOO. 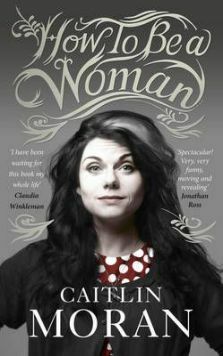 So I read How to be a Woman by Caitlin Moran which is just so cringey but worth a read if you’re a woman or even a man…I really think boys should read books like the princess diaries or with female protagonists in order to try and UNDERSTAND THE FEMALE SPECIES because I’m sure we’re as confusing to them as they are to us. I don’t think I will ever be able to understand the male species. But the book was absolutely hilarious and I learned quite a bit about myself but also about women in general- very feminist but I know me. I may be a feminist but I’m still a hopeless romantic. 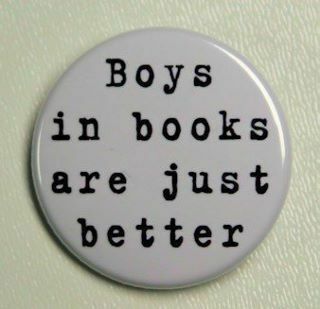 Plus books and movies give me exceedingly high and unrealistic expectations of males and when I meet them I’m just so disappointed in their immaturity and arrogance. I hope boys my age GROW OUT OF THAT so I can manage to uphold a conversation with them without wanting to kill them by the end. Sorry it’s been a while but I’ve been so busy with school. Senior year (last year of 6th form- A2) isn’t all fun and games it’s frickin TIRING AND FULL OF HARD WORK! Anyhew that’s all for now. Will post something SOON: such as MOVIE REVIEWS, The Hunger Games stuff (hellooo the trailer and posters and photos and OMG PEETA MELLARK!!! ), my view son the crappy TV shows that I watch or now don’t watch (ahem Glee is so disappointing even though Blaine is is till there). 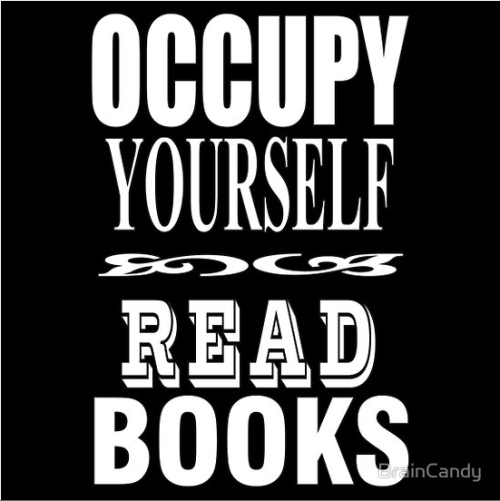 Have a great week people and Happy Reading!! !